M&P can make custom Halar Machined Parts to your specifications or drawings. 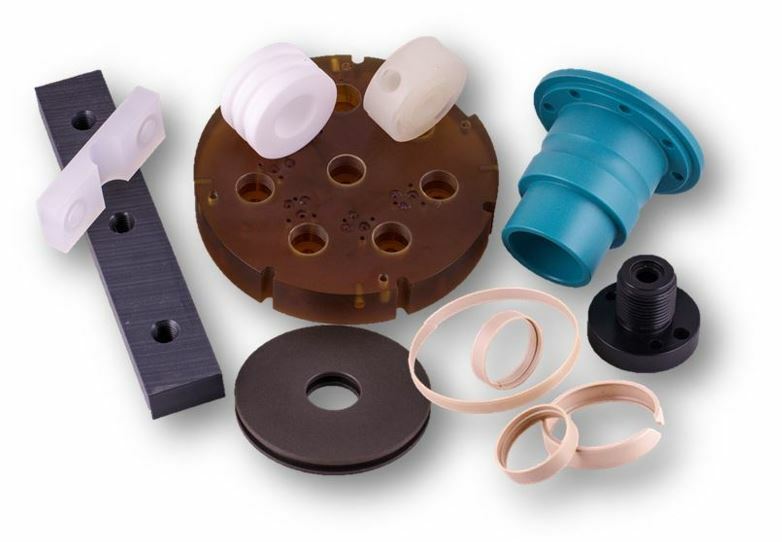 We have a plastic machine shop; Halar® is one of the plastics we can use to make parts. Halar® ECTFE is a partially fluorinated semi-crystalline polymer offering a unique combination of mechanical properties, thermal and chemical resistance, with an outstanding ease of process ability. Halar® ECTFE, a copolymer of ethylene and chlorotrifluoroethylene, can bring advantages to the end user when compared to other fluoropolymers. It is a very versatile polymer, available in all forms to meet processing needs. Halar® material has excellent resistance to abrasion, harsh chemicals, and permeation. Halar® Machined Parts are made in a completely controlled environment. Halar O-rings, Halar Seats, Halar Bushings, Halar Bearings, Halar Guide Blocks, Halar Wear Pads, Halar Washers. Halar® is a Registered Trademark of Solvay Solexis, Inc.